Last Chance To Rank: The Last ONE & ONLY Organic Video Ranking, SEO and Real Views Service on the Market! Why I'm sharing this? Well if you are a beginner your are 10x more likely to buy some fake views services (even if they are going to drop on the next day) and spend your money for nothing, risking having your account banned from the video network you use. And if you are veteran... You will know that this is the absolute game plan to organically rank and bank with your videos and score high SERP naturally! Look. 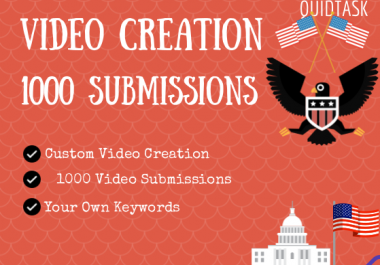 This is your absolute last chance to get real rankings and results without risking your video being taken down! Over the years, we have created many social networks and websites with tons of traffic. Mainly Social Profiles representing us and private websites in different niches, just give us your URL and we will share it with the correct audience. Your video will be shared with massive audience (over 500,000 people guaranteed), that may be interested in what you do, many should click and visit your video, so if your video is engaging enough you can expect the "viral effect". However we can't guarantee that you will receive an "X" amount of views, it still depends on the content of the video and what you are promoting. What exactly we will create? This package contains video embeds and brings organic views and likes. We will not deliver until you reach what is promised in this package. 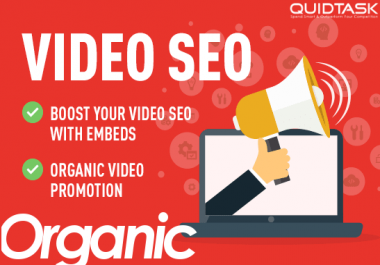 Embeds also increase your SEO and they expose your video to a huge amount of website traffic. This package contains instant backlinks and huge amount of social signals that will help you rank your video higher on YouTube search engine and Google and it increases your video rank. This package contains Sponsored Social Signals that are a very important factor for SEO. Especially when you get them from OLD PAGES WITH BUILT AUDIENCE. 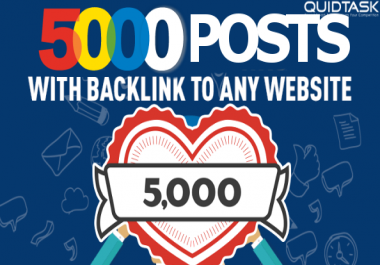 The signals your will get are from the Top Social Networks and are DA/PA 100+ - which means huge SERP improvement. They will help you grow your social media presence for your website and maybe even bring some traffic. No refunds - video may receive views or likes but they can't be guaranteed. Naturally, we can't control visitor's actions.